Developed and delivered a customized leadership development program for a major oil and gas company. The program is a six-day program, delivered off-site to the SVP, VP and Manager level. The program focuses on leadership presence, understanding yourself and others, building trust, delegation, decision-making, performance management, feedback, corporate alignment, team engagement, strategic thinking and coaching. Developed and delivered a customized front-line management program for a major oil and gas company. The program is a two-day program, delivered off-site to the Supervisors and Foremen, focusing on accountability, understanding yourself and others, effective communication, motivating staff, delegation and coaching. Developed and facilitated various full-day team building workshops for various clients to establish the foundations of a high-performing team within their context, set a team purpose, team vision and goals and to work more strategically on their business issues. Coached over 250 clients one-on-one to set goals, improve their communication and interpersonal interactions, both in a work and personal setting. Originally from Australia, Matthew left to chase his dreams in 2000 and worked in Europe. A couple of years later he chased his love and moved to Canada. A life-long learner, Matthew has dedicated the last fifteen years to his own learning in addition to training, coaching and helping individuals and companies move themselves forward. Matthew is a formally-trained speaker, trainer and coach. 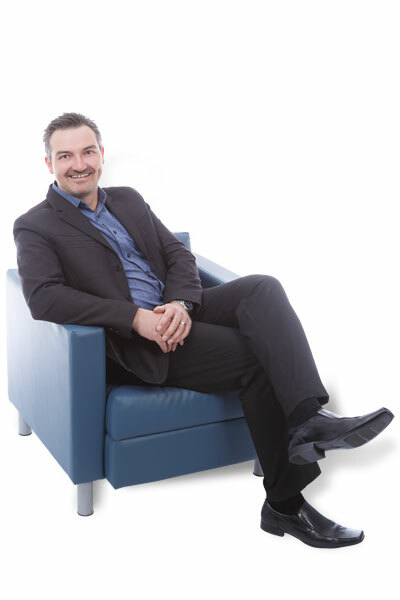 Matthew has coached and trained thousands of individuals, including business owners, senior managers and VPs. Matthew’s leadership coaching focuses on helping individuals move from technical expert into the role of leader and for senior leaders to further develop their leadership style through understanding different business perspectives and leadership techniques. Recognizing the need for tangible results with training, Matthew develops customized training programs that focus on practical and immediate application for leaders and the development of teams. Prior to working as a business coach and trainer, Matthew had a successful career in Marketing, Advertising and Sales. He was also a public speaking coach and was a certified Dale Carnegie Program Trainer for five years. Like many Australians, Matthew enjoys adventure and has travelled to 34 countries and lived in four. He is also an artist, husband and father of three precocious children.